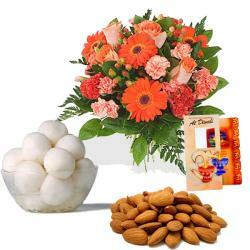 Product Consist : Diwali Greeting Card, 500Gms Kaju Katli in Box, 500Gms Dry Fruit in Box, along with Bouquet of 12 Mix Roses. 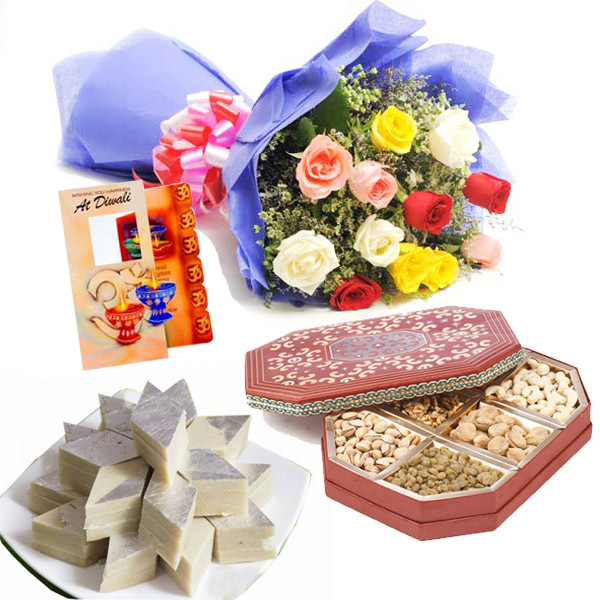 On the special day of diwali; gift this amazing pack of Kaju Katli, Mix Dryfruits 12 mix roses and diwali wishing greeting card to your relatives who are staying away from your city. 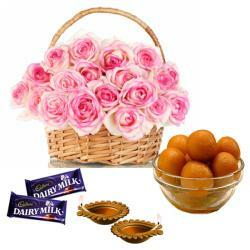 Send the diwali special wishes in the card and sweets followed by flowers to them which will fill their lives with sweetness, and full of positive energies. 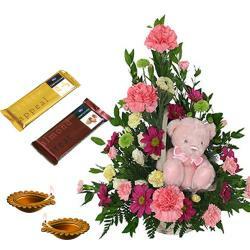 The card will be a medium to express your love and respect for them. 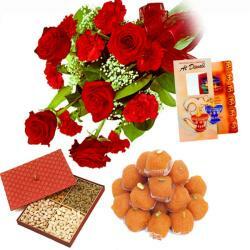 The bouquet of flowers will make them remember you every time they will see it.Product Includes : Diwali Greeting Card, 500Gms Kaju Katli Box, 500Gms Dry Fruit Box along with Bouquet of 12 Mix Roses.